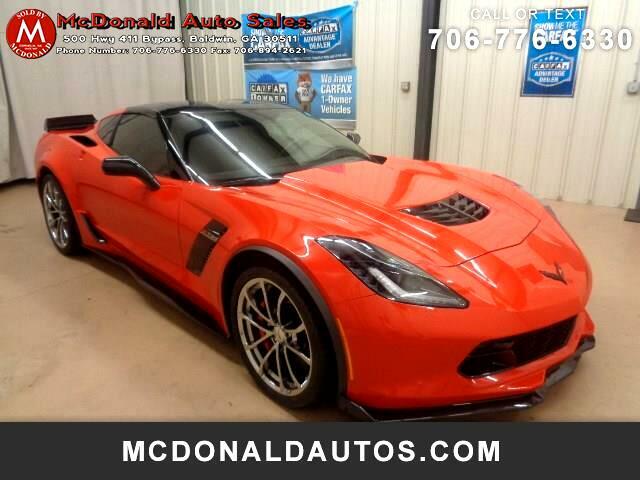 A EXTRA CLEAN 2017 CHEVROLET CORVETTE Z06 2LZ WITH ONLY 3400 MILES!! A 1 OWNER CLEAN CARFAX VEHICLE THAT IS SERIOUSLY IN LIKE NEW CONDITION EVEN SMELLS NEW. OPTIONS INCLUDE AS FOLLOWS- 2LZ PREFERRED EQUIP GROUP- CARBON FIBER PACKAGE- PERFORMANCE DATA AND VIDEO RECORDER- CARBON FLASH PAINTED MIRRORS- CHROME ALUMINUM WHEELS- GLASS TARGA TOP- HTD COOLED SEATS- TINTED WINDOWS- HEADS UP DISPLAY AND MUCH MORE!! THIS CAR IS GORGEOUS AND HAS A LOT OF EYE APPEAL. REMAINDER OF FACTORY WARRANTY APPLIES.